On October 5th 2016, Ranga Dias and Isaac F. Silvera of Lyman Laboratory of Physics, Harvard University released the first experimental evidence that solid metallic hydrogen has been synthesized in the laboratory. It took 495 GPa pressure to create. The sample is being held in the cryostat in liquid nitrogen. If as predicted by theory the metallic hydrogen remains metastable when the extreme pressure is removed then the world will eventually be greatly changed. 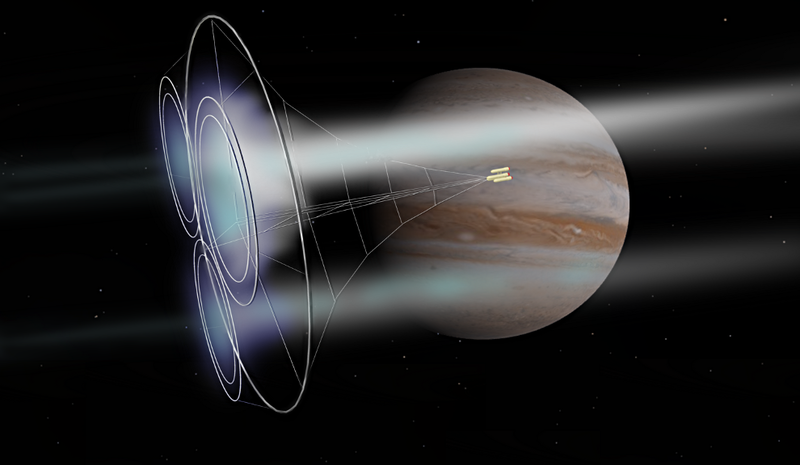 Theory has also predicted that solid metallic hydrogen will be stable at above room temperature and will be a superconductor and very possibly a room temperature superconductor. Surface launching could also be made easier with a very large magnetic coil on the ground around the pole to enhance the magnetic field. This would make it easier for the magsail to climb. Surface launching a room temperature superconducting super high current density magsail would be like magnetic antigravity. 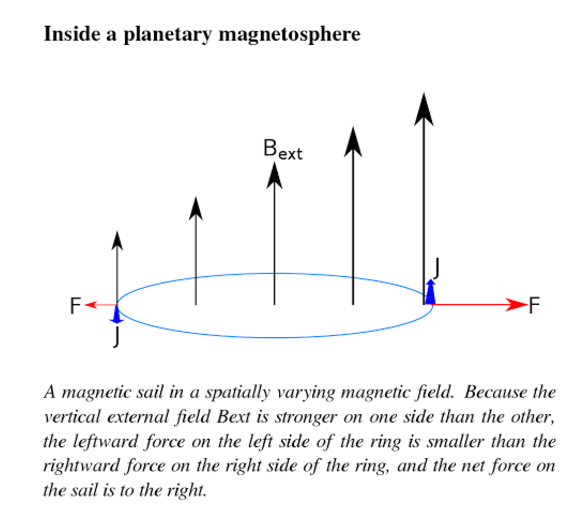 The magsail would likely have to be quite large to have enough current and magnetic field.